Don Byas was one of the few musicians of his era to strike a compromise between swing and bebop. In addition to the rhythmic feeling of modern jazz, he incorporated elements of Coleman Hawkins's harmonic advances and Lester Young's lyrical style. He often played with a relaxed subtone embroidered with gentle vibrato, reserving the boisterous "Texas tenor" sound for the climax of his solos. Lucky Thompson and Benny Golson claim him as an influence, and most modern tenor players are aware of his work as a bebop pioneer. The Byas influence of Golson’s phrasing is particularly strong. 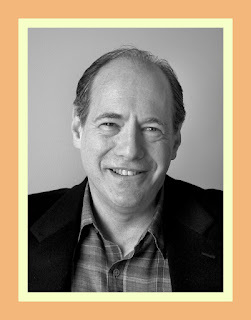 Born to musical parents, Don studied violin and clarinet prior to the alto sax. In his teens, he worked in territorial bands based in Oklahoma City and then led his own band at Langston University (1931—32). After switching to tenor, Byas left Oklahoma in 1933 for California and spent four years in Los Angeles working for Lionel Hampton and Buck Clayton, among others. In 1937 Byas traveled to New York City, where he worked as an accompanist for Ethel Waters. He next worked for Don Redman, Lucky Millinder, and Andy Kirk. 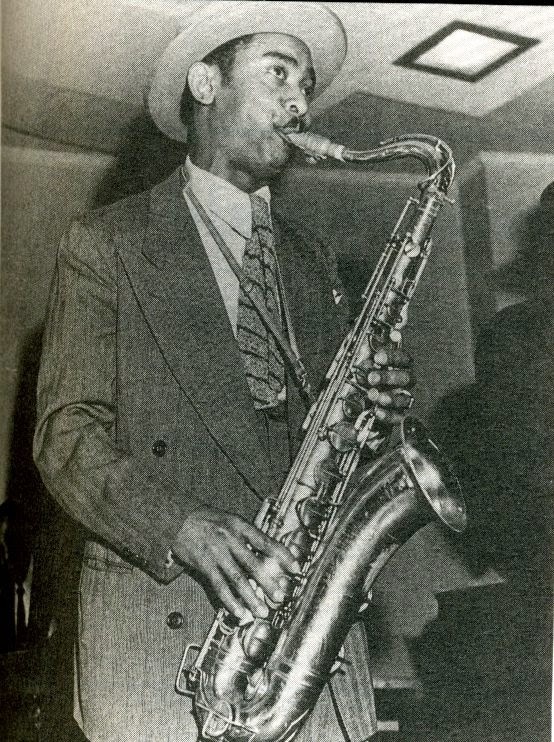 Following tours with Benny Carter, Byas joined the Count Basie Orchestra (1941-43) as a replacement for Lester Young. On his most celebrated tune of this period, Harvard Blues, Byas proved that he could work in the twelve-bar form and that he shared the Basie sense of understatement (Blues by Basie, Columbia). After jamming with the modernists at Minton's, Byas joined the innovative Dizzy Gillespie—Oscar Pettiford band in 1944. Over the next three years, he performed in many modern groups on Fifty-second Street. He was featured on numerous titles recorded for Savoy through the mid-1940s, but his best small-group work was done in the animated company of Gillespie (The Greatest Hits of Dizzy Gillespie, RCA Victor). 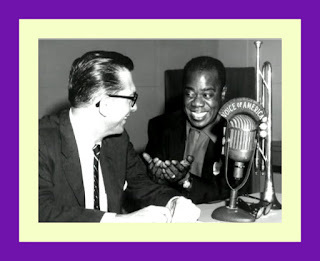 Another example of Byas's best playing occurred during a pair of impromptu duets on "Indiana" and "I Got Rhythm," recorded with bassist Slam Stewart, as the two waited for a 1945 Town Hall concert to begin. "I Got Rhythm" appears on The Smithsonian Collection of Classic Jazz (Smithsonian) and is a virtuoso performance that reveals both excitement and restraint. Byas explores every harmonic nook and cranny in his memorable eighth-note lines, which do not swing as easily as bebop, but at the same time do not ride as closely to the leading edge of the beat as Hawkins's aggressive phrases. At his artistic peak in 1946, Byas left for France as a member of Don Redman's band. He later settled in Holland with his family, appearing regularly at European jazz festivals, and recording. Another Byas trademark, the patient, soothing ballad, is included in Jazz at the Philharmonic in Europe (Verve). During the 1960s, Byas was intrigued by the innovations of John Coltrane and Sonny Rollins, although he did not alter his own style in response. In 1970 he returned to the United States for the Newport Jazz Festival, but he returned to Europe shortly afterward because he felt more I abroad than at home. He died in Amsterdam in 1972 at the age of sixty . Sadly, his passing garnered little attention in the Jazz press. The following video tribute features Don Byas and bassist Slam Stewart on their classic treatment of I Got Rhythm. "...I wasn't striving to be an identifiable stylist — I was really only striving to make music and to put it together in some way of my own." Considering how beautiful all aspects of the late pianist Bill Evans music is, I’m surprised that there have not been more efforts to reconstitute it in other settings. “Reconstitute” is the key word here in the sense of building something up from its parts; reconstruct in another setting might be another way of putting it. Guitarist John McLaughlin had a go at is when he along with the members of the Aighetta guitar quartet recorded the Verve CD Time Remembered: John McLaughlin Plays Bill Evans which we posted about here. But for the most part, orchestrators and arrangers have shied away from reconstituting Bill’s compositions and improvisations in other musical formats. Perhaps, as was the case with the work of the late pianist, Michel Petrucciani, they seem to be near perfect as performed in Evans’ preferred setting of a piano-bass-drums trio. Perhaps, too, they feel unequal to the task of trying to match Bill’s brilliance. 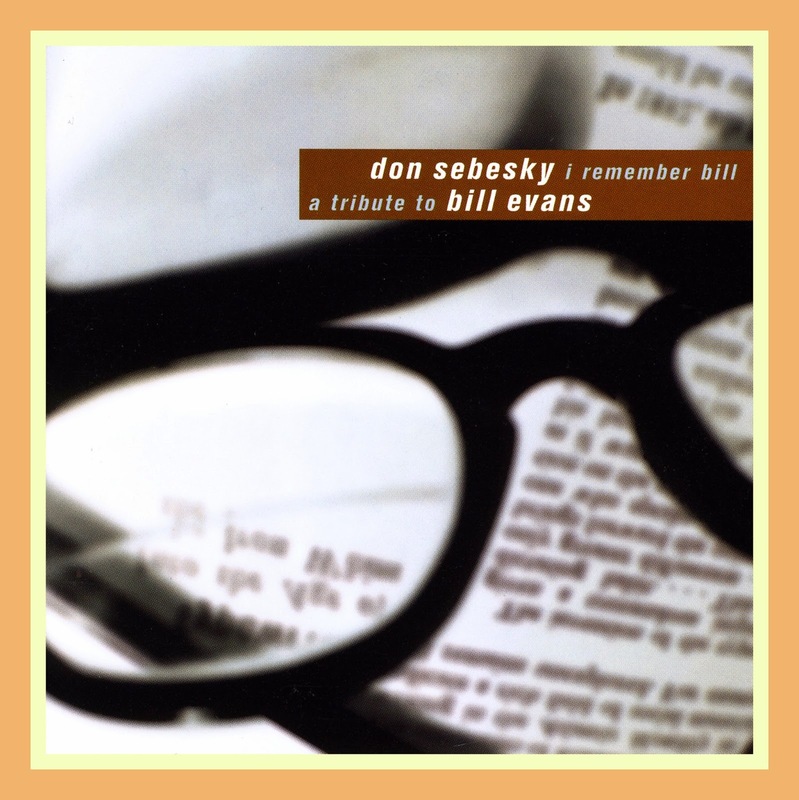 When such attempts do come along, they seem to be “here today and gone tomorrow,” or at least that’s my impression of one such effort, Don Sebesky’s 1998 CD - I Remember Bill: A Tribute to Bill Evans [RCA BMG Classics 09026 68929-2]. In her insert notes to the recording, Stephanie Stein Crease, the author of the definitive Gil Evans: Out of the Cool: His Life and Music and whose writings about Jazz have appeared in The New York Times and Down Beat, offers these insights into Bill and his music and Don Sebesky efforts at reconstituting it on I Remember Bill: A Tribute to Bill Evans. "...I wasn't striving to be an identifiable stylist — I was really only striving to make music and to put it together in some way of my own," said the jazz pianist Bill Evans, in his talk that closes this tribute. Nonetheless, the Bill Evans sound has been a persistent force in modern jazz since word about Evans — quiet and introspective, never a self-promoter — started humming through the New York jazz scene during the mid-1950s. Evans followed in the wake of Bud Powell, the pianist who'd forged a dazzling hornlike approach to bebop piano. The young Evans had an awesome grasp of the intricate language of bop and its harmonic possibilities. He had the ability to express, with dazzling clarity, a musical whole along with a range of subtleties. And he developed a sound on the piano — each note rounded from within, his playing fiery at times, uniquely understated at others — that was as full of warmth and individuality as that of Erroll Garner or Arthur Rubinstein. The cumulative effect? An upturning of every musical idea or chord voicing or standard song into something never quite heard before. Evans' music flowed from his profound and analytic intelligence. His playing was often tinged with a deep melancholy, and was always illuminated with a rare beauty. Evans, who died in 1980 at the age of fifty-one, started studying piano formally at the age of six, the violin at age seven, and the flute at thirteen. He was all of twelve when he started subbing for his older brother Harry in a no-name dance band in New Jersey, with its book of stock arrangements. It was in this setting, fooling around with standard dance tunes, that he experienced the first thrill of musical freedom: the insertion of a chord change, a melodic variation, or a short improvisation all started pointing Evans towards jazz. His first real jazz gigs were occasional summer jobs with the guitarist Mundell Lowe (another master of supple understatement), who Evans met in the late 1940s while attending Southeastern Louisiana University in New Orleans. After an army stint in Korea from 1951 to '54, the pianist settled in New York. By 1956, he had made his debut recordings as the leader of his own trio. 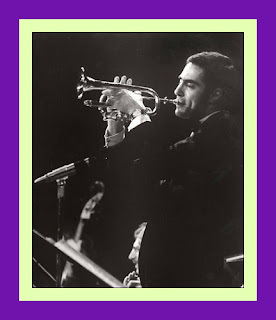 The following year, he performed one of his most brilliantly developed solos ever in George Russell's extended work All About Rosie, a virtuosic vehicle designed for Evans (who performed it in concert and recorded it). After a relentlessly creative eight months with Miles Davis in 1958 (which resulted in Kind of Blue), Evans steadfastly pursued his own muse, for the most part in a trio with bass and drums, making the piano trio a viable and vibrant setting for jazz. 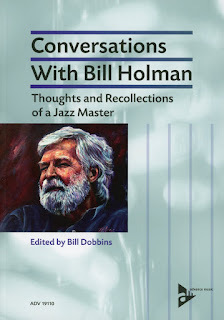 And Don Sebesky added his own thoughts about Bill’s music and this recording in these excerpts from the insert notes to I Remember Bill: A Tribute to Bill Evans. “Rarely does a day go by without my feeling the influence of Bill Evans. Bill didn't just strive for perfection. He, like all true geniuses, was incapable of putting forth less than his very best: the best note, the truest chord, the richest voicing, creating a balance between head and heart which characterizes his music and makes it so fresh and interesting every time we listen. He set a standard of excellence to which we all aspire, and by which we all measure ourselves, and our work. In this album, I pay tribute to him in gratitude for his having enriched us all with his remarkable gift. After much thought, I've selected a mix of tunes which Bill composed (Waltz for Debby, Very Early, T.T.T.T., Peace Piece, Epilogue, Blue in Green); standards which he liked to play (Autumn Leaves, All the Things You Are, I'm Getting Sentimental Over You); and a couple of pieces I've written and dedicated to him (I Remember Bill, Bill Not Gil). The first time I ever heard Bill play was on Miles Davis' Kind of Blue, arguably the most influential recording of the last fifty years. From that album, I've selected two tunes. Blue in Green has new lyrics by Gene McDaniels, which encompass not only the tune, but also Miles' and John Coltrane's solos. I've also included So What, in which I've doubled the original tempo and built the arrangement around an orchestration of Bill's solo. I've inserted orchestrated versions of excerpts from Bill's improvisations into All the Things You Are, Autumn Leaves and I'm Getting Sentimental Over You as well — treating the ensemble as if it were a giant piano instead of limiting it to a traditional big band role. Being especially fond of Bill's solo playing, I arranged and orchestrated his elegant improvised adagio, Peace Piece. In this version, you'll hear echoes of Copland, Bartok, and probably a few other classical composers, though the actual notes are Bill's. In the opening choruses of All the Things You Are and I'm Getting Sentimental Over You, I've treated the band in a way that I imagine Bill might have, had he been an arranger, creating contrapuntal interplay between lines and allowing the rhythmic aspect of the tunes to be carried by the horns only — no rhythm section. We were fortunate to have been able to reach out all over the world to musicians who played and recorded with Bill over the years. Two of his rhythm sections, Eddie Gomez with Marty Morell and Marc Johnson with Joe LaBarbera provide the support for the brass and string ensembles which surround them. Alumni Lee Konitz, Bob Brookmeyer, Toots Thielemans, and Tom Harrell (who was on Evans' last recording) all demonstrate their own remarkable musicianship here, as do Larry Coryell, Joe Lovano, Eddie Daniels, Hubert Laws, Dave Samuels, John Pizzarelli, Jeanie Bryson and New York Voices. My heartfelt thanks to them all for contributing their artistry to this project. My favorite reconstitution by Don of Bill’s work is his string arrangement of Quiet Now, an original by fellow-pianist Denny Zeitlin that Bill played often. It features clarinetist Eddie Daniels and vibraphonist Dave Samuels and you can check it out on the following video. “The Jazztet was formed in 1959, and evolved from a series of associations in several contexts involving trumpeter Art Farmer, tenor saxophonist Benny Golson and trombonist Curtis Fuller. Two of these players, Golson and Fuller, also put in time in the ranks of Art Blakey's outfit, but The Jazztet is not consistently identified as a group in quite the same way as the Jazz Messengers these days (both the All Music Guide to Jazz and the Penguin Guide to Jazz on CD simply list their records under Art Farmer, presumably on the rather non-analytical basis of alphabetical order). 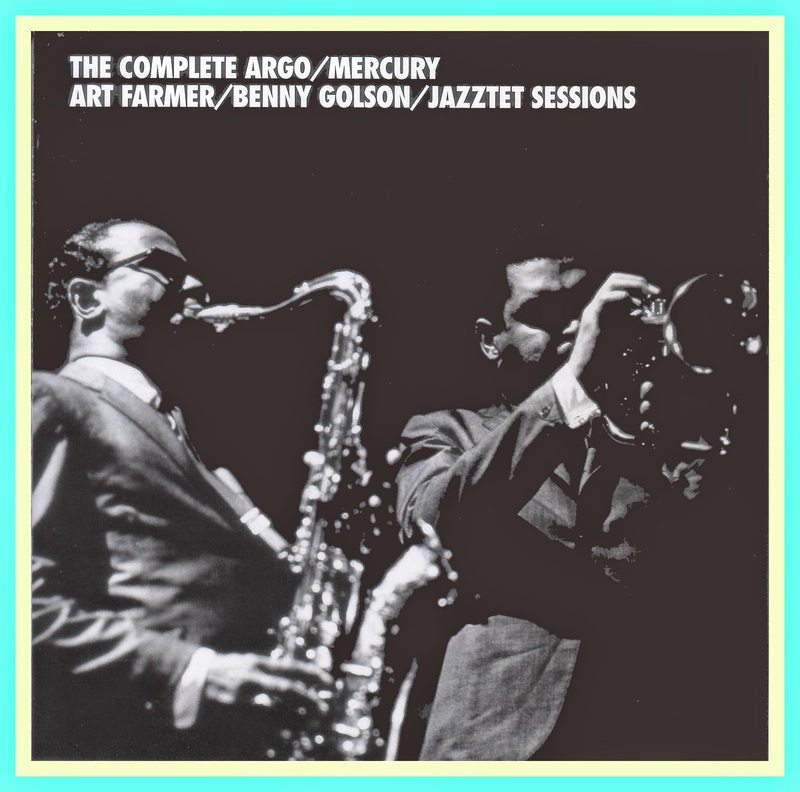 Nonetheless, and despite considerable fluctuation of personnel around the core pairing of Farmer and Golson, The Jazztet created their own sophisticated sound within a basic hard bop framework. Farmer and Golson had worked briefly together in 1953 in Lionel Hampton's band, and again in 1957 with Oscar Pettiford. The trumpeter played on Golson's New York Scene (Contemporary) in 1958, and the saxophonist returned the compliment on Farmer's Modem Art (United Artists) the same year. All three backed Abbey Lincoln on her It's Magic album for Riverside in 1958, and Golson and Fuller made several recordings together, including Golson's The Other Side of Benny Golson (Riverside), Gone With Golson, Groovin’ With Golson and Gettin’ With It (all Prestige New Jazz), and Fuller's Blues-ette (Savoy), as well as a date with Philly Joe Jones on Drums Around The World (Riverside), and Farmer's Brass Shout (United Artists), a brass tentet session for which Golson supplied the arrangements. Farmer also played on Fuller's third date for Blue Note in December, 1957. The trombonist assembled a sextet with Lee Morgan and Hank Mobley for Sliding Easy (United Artists) in March, 1959, with some Golson arrangements. The Jazztet name first appeared on record on a Curtis Fuller album for Savoy, Curtis Fuller Jazztet featuring Benny Golson, recorded on 25 August, 1959, but with Lee Morgan on trumpet (a second Savoy session in December, Imagination, also featured a sextet, but not under the Jazztet name this time, and with Thad Jones on trumpet). The Coltrane sextet which he mentions here had recorded the saxophonist's classic Blue Train in 1958, his only date for Blue Note. Miles Davis's great sextet with Coltrane and Cannonball Adderley was also active at this time, but with a front line of trumpet and two saxophones rather than trombone (Miles had dabbled with a trombone in several short-lived bands, including a line-up which briefly included Fuller). Golson had already featured a sextet on his album The Modern Touch for Riverside in 1957 (with Kenny Dorham and J. J. Johnson as the brass players), and the idea of a new working unit in that format was in his mind when he left The Jazz Messengers in 1959, having played a major role in restructuring both the band and its book. The new band made their studio debut for Argo in February, 1960. Meet The Jazztet featured the three horn men with a rhythm section of McCoy Tyner on piano, Art Farmer's twin brother, Addison Farmer, on bass, and Lex Humphries on drums, but the band was never to achieve much stability of personnel beyond the key Farmer-Golson association at its heart (a reality already reflected in their more prominent billing on the cover). As the All Music Guide suggests, this album is a genuine hard bop classic. It included three of Golson's best known compositions, the first recorded version of Killer Joe, and the band's takes on I Remember Clifford and Blues March. The principal soloists are in disciplined but inventive mood throughout, while Golson's arrangements add interest beyond the routine ensemble heads of the period, but without tying up the music in overly elaborate fashion. The overall effect is both less driving and more thoughtful than the general run of hard bop. By their second date for Argo in September, 1960, only Farmer and Golson remained from the earlier line-up. Fuller had left the band in not entirely amicable fashion in June (Down Beat reported that the trombonist 'pulled out without giving notice at the end of a one-day engagement at the Brooklyn Paramount theater'), to be replaced in quick succession by Willie Wilson, Bernard McKinney and, by the time of the record date, Tom Mclntosh. McCoy Tyner had joined John Coltrane (Golson has told the story of how his old Philadelphia buddy had helped rescue a stranded Tyner when he broke down en route to New York to join The Jazztet, then promptly 'stole' him for his own band, although Coltrane had the pianist in mind prior to his arrival in New York in any case), to be replaced firstly by Duke Pearson, then Cedar Walton. 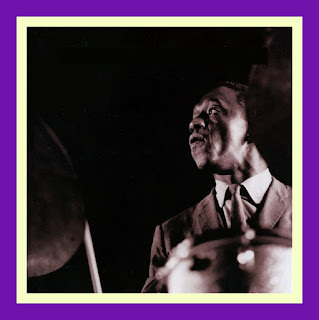 Tommy Williams had taken Addison Farmer's place on bass, and Tootie Heath, another Philadelphian, occupied the drum seat. That version of the band recorded Big City Sounds in September, and the game of musical chairs settled down long enough for the same personnel to record two more albums for the label. In December, 1960, they met up with pianist John Lewis for a session released as The Jazztet and John Lewis. It featured six of Lewis's own compositions which he had arranged specifically for the date, including versions of Django, Milano and 2 Degrees East, 3 Degrees West. They closed their account at Argo with The Jazztet at Birdhouse, a live set recorded at the Chicago club of that name on 15 May, 1961. Farmer, on the other hand, was an infrequent composer - he had contributed one tune, Mox Nix, to Meet The Jazztet (it had previously appeared on Modern Art), but none on this session. The other selections include a sparkling version of Randy Weston's Hi-Fly, with Walton in scintillating form, their interpretations of Dizzy Gillespie's Con Alma and J. J. Johnson's Lament, and the standards My Funny Valentine and Wonder Why. Mclntosh is not Fuller's equal as a soloist, but holds his own, while Farmer and Golson vie with one another to produce the most fluent, lyrical soloing, and trade glowing exchanges in Five Spot After Dark. The live setting on the Birdhouse disc allows the band to stretch out, notably on an extended version of Farmer's Farmer's Market and Monk's ‘Round Midnight, both arranged by Golson, and an arrangement by J. J. Johnson of his own Shutterbug. At their best, The Jazztet leavened the visceral, earthy appeal of hard bop with a more sophisticated approach to arranging, and achieved a highly effective balance between the two. While their command of uptempo material was exhilarating, one of the most vivid examples of their approach is found in their live version of ‘Round Midnight from the Birdhouse set. Golson's arrangement opens unexpectedly, with a single declamatory brass note. Walton begins an atmospheric introduction which glides into Farmer's opening statement of the melody on flugelhorn, eventually harmonised by a lovely voicing on the other horns. Golson comes in with a warm, romantic tenor statement, quickening the pace in deft fashion just ahead of another declamatory ensemble statement. Farmer's bold second entry is on trumpet, again supported by delicate horn fills, and provides a striking contrast with his earlier contribution. Golson's tenor solo is the centrepiece of the performance, a buoyant, lyrical creation which gradually deepens and darkens, growing in both invention and emotional intensity. It is as good a statement of his gifts as a soloist as exists on record. Farmer returns on flugelhorn, imposing a reversion to a gentler mood, and generating an evocative late-night atmosphere within another impeccably controlled narrative. Walton opts for a bluesy feel in keeping with Farmer's mood, expanding his original idea in a short but inventive solo. Mclntosh is more prosaic in his own solo, but retains the evolving feel of the piece, and the other horns again weave subtle background statements around his trombone, leading into the concluding ensemble finale, which supplies a quietly dramatic ending to a quietly epic performance. As an example of the way in which they were consistently able to marry imaginative soloing with meticulous structural integrity, it can hardly be bettered. The band made only two more records in this first phase of their existence, both for Mercury. Here and Now was recorded in February and March, 1962, and Another Git Together followed in May and June. Both featured another new version of the group, in which Farmer and Golson were joined by Grachan Moncur III on trombone, Harold Mabern on piano, Herbie Lewis on bass and Roy McCurdy on drums. The other notable change on these discs is the increasing use of flugelhorn, an instrument which Farmer quickly came to favour over trumpet. Cross-cultural influences have always been a part of the Jazz experience from the music earliest beginnings in New Orleans at the turn of the 20th century when French, English, Spanish, Creole, African, and Native American Indian elements all contributed to the music’s unique sound and rhythmic feeling. Rhythmic feeling has often been responsible for some of the greatest changes in the sound of the music as it evolved from ragtime to Dixieland to Swing to Bebop to Hard Bop to the freer forms of the music associated with unusual or time signatures which began to manifest in the late 1950’s and early 1960. Since then, Afro-Cuban clave-based rhythms from Cuba, Samba and Bossa Nova beats from Brazil, Indian ragas, Japanese theatrical music from Noh and Kabuki plays, Middle Eastern, Central European and Turkish dance rhythms that place accents at different intervals - all these and many more rhythmic influences have found their way into the Jazz idiom as the music became more universal and more cosmopolitan in the second half of the 20th century. Not all of these cross-cultural adaptations have resulted in lasting influences on Jazz, but some of them are fun to explore as isolated instances of what the music sounds like in different environments. Only someone with Victor’s bent-of-mind could even conceive of taking music such as this into a Jazz setting. To digress from a moment, Latinsville [Contemporary CCD-9005-2], an album done much earlier in his career [1958-59], was Victor’s first, major recorded statement of his affinity for various Latin jazz styles. And while it served as a precursor to The Venezuela Joropo it can also be considered a direct link to it from the standpoint of Victor’s lifelong fascination with different rhythms and his uncanny ability to place them successfully in a Jazz context. 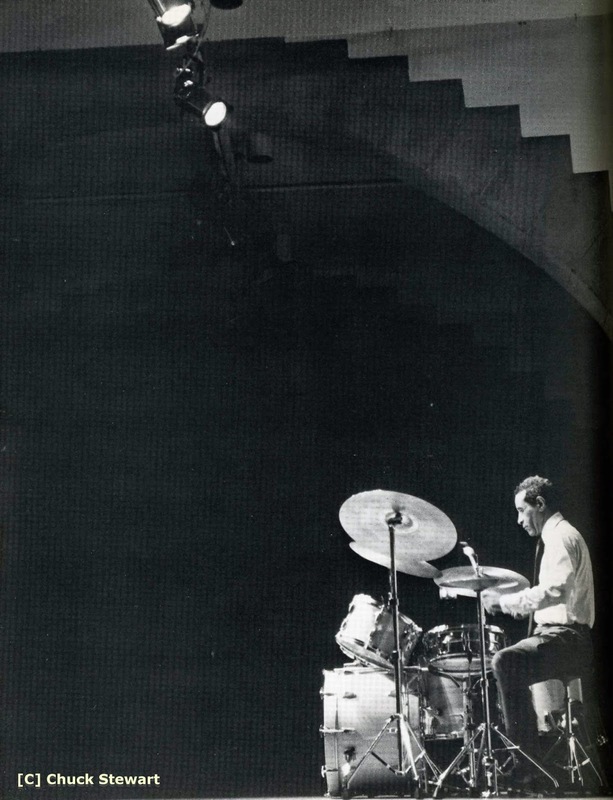 Another influence that helped spawn the original 1958-59 recording project was the great admiration that Victor had for Cal Tjader, both as a vibist and as a fellow drummer, and the Latin Jazz music Cal was then performing with his quintet. 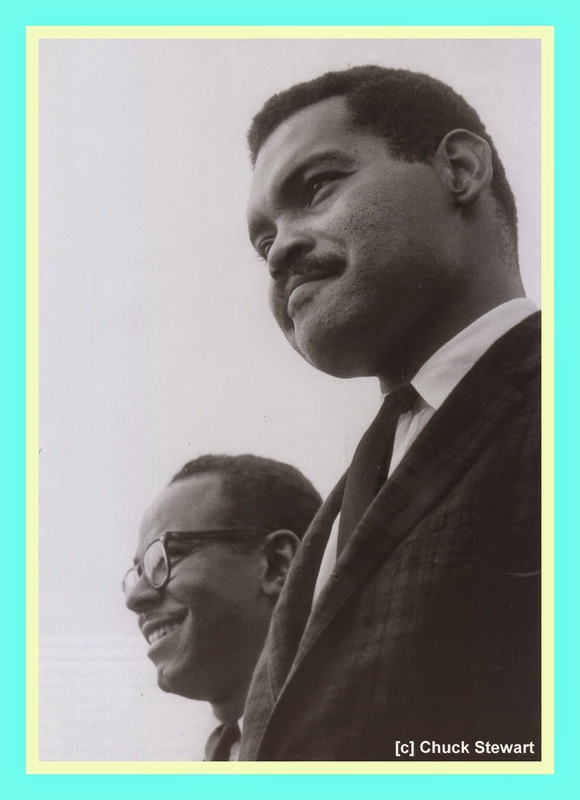 Pianist Vince Guaraldi was a member of Cal’s group at that time and he and Victor were great friends from their stint together on the Woody Herman band [Vince even replaced Victor with the Lighthouse All-Stars for a time before returning to his native San Francisco in 1960]. Vince and Victor had many conversations about Latin Jazz, often demonstrating certain figures or phrases while playing “montuno” 5-note rhythmic patterns using claves [two small wooden rods about 8 inches long and 1 inch in diameter; they are typically made of rosewood, ebony or genadillo]. “I've heard some music from Venezuela that I have some tapes of at home. Everything's in 6/4. There's a harp player, a maracas player, a guitar-or, actually, it's a quarto-and a gultarone on there, playing the bass notes. And it's the first time I've heard a harp player really swing. I've heard people try to play the harp in jazz, but it's syncopation, rather than swing. This guy's fantastic. There's a few of 'em in Venezuela. I can't recall his name; it's on the tip of my tongue. With Marty Paich [with whom Victor studied arranging] contributing an arrangement of one of the tracks, there is some very beautiful music on The Venezuela Joropo and it is regrettable that it has never made it to CD. 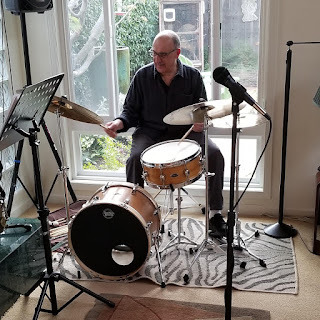 On it, Victor, who plays vibes and/or marimba on all tracks, uses two bands:  Emil Richards [vibes/marimba], Bill Perkins [flute/alto flute], Dorothy Remson [harp], Al Hendrickson [guitar], Max Bennett [bass], Larry Bunker [timbales], and Milt Holland [maracas and percussion];  Bill Perkins [flute/alto flute], Dennis Budimir [acoustic and electric guitars], Monty Budwig [bass] and Colin Bailey [drums]. 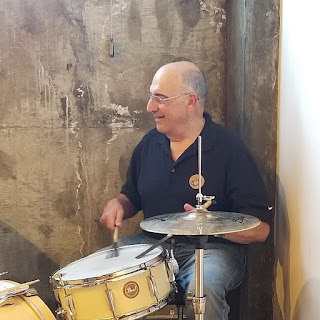 Dr. Robert Garfias, then of the Archives of Ethnic Music and Dance of the University of Washington, Seattle, WA wrote the liner notes for the album. They tell a fascinating story of the serendipitous way in which the album came about and, since the album has never been issued in CD form, they are re-printed here in their entirety. “Perhaps a little more than a year ago I received a phone call from Victor Feldman. He had by chance happened to hear in Los Angeles one of my radio programs dealing with the traditional and folk music of Venezuela and was anxious to hear more of this music, and to know something about it. In this way a rather sporadic exchange of tapes, letters and phone calls was begun which at last resulted in the exciting music included on this LP. Before this, Victor Feldman was known to me only as the very sensitive pianist who had played for a time with Miles Davis. I was honestly surprised at the thought that a musician in the mainstream of jazz today might be attracted by the music of Venezuela as a possible vehicle for his own expression. Certainly there have been incursions of Latin-American music into jazz and popular music in the United States. The several waves of Cuban music and most recently the Sambas, Maracatus and Baiaos of Bossa Nova have each had strong and lasting effects. But the music of Venezuela is somehow rather special. Being primarily an outgrowth of the old popular music of the Spanish Colonial period in Venezuela with little Afro-American influence, this music has not lent itself to the fervor or flashy intensity of the music of Cuba or Brazil. There is certainly a high degree of rhythmic intensity in the music of Venezuela but its usual rhythms occur In groups of six beats with the characteristic groupings and alterations of 3-3 with 2-2-2, which link this music with other remnants of Spanish Colonial music, the Mariachi of Southwestern Mexico, the harp music of Vera Cruz, the popular songs and dances of Yucatan, Colombia, Peru, and Chile. The typical Venezuelan ensemble of Spanish harp, cuatro (a small four-string guitar) and maracas, does not at first glance appear to lend itself to easy assimilation with jazz. It is a real tribute to the imagination and good taste of Victor Feldman that this first attempt should be musically such a success. He has given a beautiful sampling of his talents on this LP. There are a few examples of resetting of traditional Venezuelan songs. The others are a mixture of standards from the jazzman's repertoire and original compositions showing varying degrees of Venezuelan influence. The result is not only a fascinating document of the meeting of two traditions but the entire LP as a unit is an excellent example of ‘musique a faire plaisir,’ music to give pleasure. Although on first hearing the music recorded here goes smoothly and effortlessly by, careful listening reveals a wealth of musical subtleties and refinements. One of the highlights of the LP is an original by Victor Feldman, ‘Summer Island.’ The composition follows the now standard formal structure A A B A, but the orthodoxy ends there. While it is becoming increasingly common to hear jazz musicians play in asymmetrical rhythmic patterns and meters, this beautiful and light tune dances easily through some truly amazing changes. The four phases of the A section are in 11 beats (5 plus 6), 11 beats, ten beats (5 plus 5) and 11 beats which are repeated before coming to the B section which is set in a regular six beat meter. This is in turn followed by another statement of the A section. The rhythmic structure does not conveniently become regular to accommodate the solos, and Victor's vibes solo especially highlights the logic of this otherwise unconventional meter. One has only to listen to the beautiful ease of this evocative tune to realize that this is no mere exercise in esoterica. Another adventure in irregular rhythms is the Marty Paich original ‘Caracas Nights.’ The piece is solidly set in a meter of five beats (3 plus 2), which is relieved only by a short section in six beats towards the end of the second section. A quiet kind of insistence is built up in the piece through the use of a repeated drone in the bass part which changes to a new tonality in the second section. Tight, sure and neatly structured solos by Victor and Dennis Budimir add another level of definition to the performance and are further highlighted by yet another change of tonality in the supporting bass part. Bill Perkins' solo bursts in at the section in six beats and brings with it the faint suggestions of the return to the composed melody and the close of the piece. The third original composition on the record is another from the distinguished Victor Feldman pen. This one is entitled simply ‘Pavane,’ and although it bears little formal resemblance to the Renaissance or Baroque forms of the ancient dance of the peacock , it does suggest much of the graceful ease of the original. Set in an easy meter of six beats, ‘Pavane’ is perhaps structurally the simplest piece of the group and yet, for me, the most haunting and the one which remains longest in the memory, reappearing unexpectedly long after I have put the record away. Bill Perkins' flute sings through the first statement of the melody, but even afterwards the same melody seems to be quietly winding its way on through Victor's and then Bill's improvised solos. Dennis Budimir's guitar solo then leads to the unobtrusive return of the melody that seems never to have ceased at all. The two standards in the group, ‘Frenesi’ and ‘The Shadow of Your Smile,’ each receive very different treatment. ‘Frenesi’ is marvelously transformed by removing it from its traditional Cuban Bolero rhythm of four beats to a Venezuelan flavored rhythm of six. One wonders if other well-worked Latin standards could appear so revitalized in a new setting. The transformation for ‘The Shadow of Your Smile’ is, at first hearing, less pronounced. However, the sure and steady bass line of Monty Budwig makes thorough use of the many possible permutations offered by the Venezuelan rhythm of six, albeit at something slower than the standard Venezuelan tempo. Over the quiet pulsations of the rhythm this now well-known melody moves steadily along without changing any of its essential character. The four remaining pieces on this LP have the strongest Venezuelan flavor. ‘Obsession Waltz,’ a popular Venezuelan waltz, is set here in a slow yet undulating tempo of a romantic ballad rather than a tight cross-rhythmic six of the usual Venezuelan waltz. Although this popular song is not known widely outside of Venezuela, in this setting it seems difficult to believe that its origins are any different from those of ‘The Shadow of Your Smile.’ The melody is given rather straightforward treatment throughout, opening with an alto flute solo, followed by vibes and guitar solos - Victor's vibes solo being the only one to dramatically depart from the original melody. ‘Por El Camino Real’ and ‘El Gavilan’ are traditional Venezuelan dance tunes of the ‘Pasale’ and ‘Joropo’ type. ‘Por El Camino Real’ is an original composition by the famous Venezuelan harpist, Juan Vicente Torrealba. It follows the traditional rhythmic and melodic pattern of many Venezuelan songs. Its first section is in a minor key. The startling element in the tune occurs in the second section which in each statement begins with a measure of eight beats, in an otherwise strictly six beat meter. The change is quite refreshing and I suspect that it was exactly this that caught Victor’s imagination. The piece opens with a statement of the melody on the vibes and bass done in the style of a semi-free introduction. This soon leads to a soft-spoken version the Venezuelan ‘Pasaje’ rhythm supporting the rest of the performance. ‘El Gavilan’ is an old traditional ‘Joropo,’ the composer of which is no longer even known. 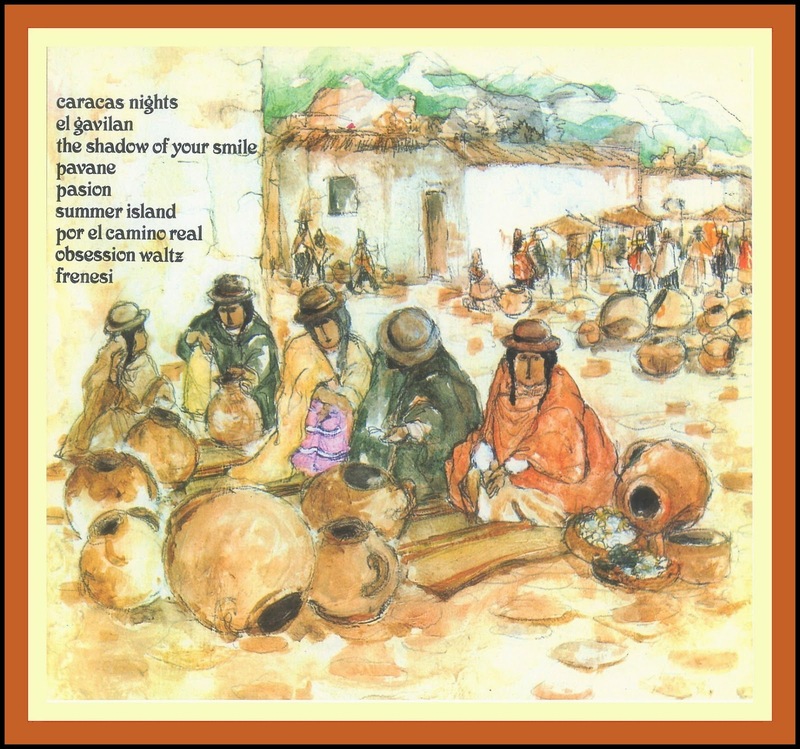 The text to this song is one of those deceptively simple Spanish folk songs that may be filled with surprising double meanings, which may have been considered the height of spiciness a century ago. This song is given the most authentically Venezuelan treatment of any of the selections on the LP. The little ensemble of instruments that Victor has put together for this performance gives an excellent idea of the fire and bite of a good Venezuelan trio. 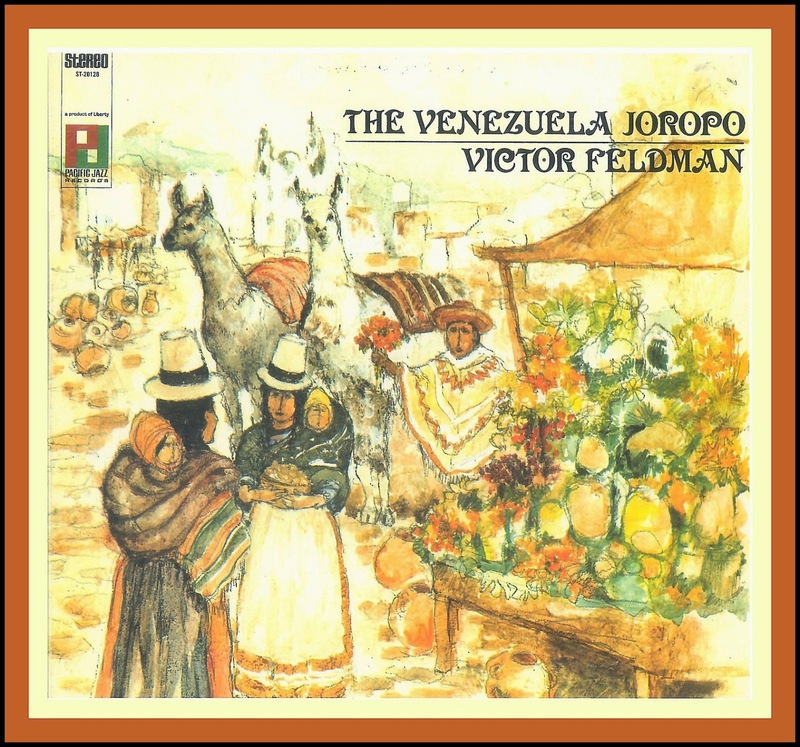 Certainly the most amazing piece on the entire record is Victor Feldman's composition ‘Pasion.’ Although it is an original composition by Feldman it captures as much of the true flavor of Venezuelan music as can be heard in ‘El Gavilan.’ The performance retains the tight synchronized rhythmic quality of Venezuelan music throughout, but it is the natural ease and the strong Venezuelan flavor of the tune itself which make it practically impossible to distinguish from traditional Venezuelan music. Obviously, Venezuelan music did not exert a great influence on Jazz, but it’s interesting to look back on this surviving example of Victor’s Venezuelan Venture [sorry, I couldn’t resist]. The following video features Marty Paich’s Caracas Nights track from Victor’s Venezuela Joropo. Joanne Tatham - "Out of My Dreams"
Benny Sharoni - "Slant Signature"
Al Cohn and "The Brothers"
Max Ionata and Dado Moroni - "Two for Stevie"
Ted Howe Jazz Orchestra - "Pinnacle"